We recently gave you some options from Nuance if you wanted to send some money to a charity by text. 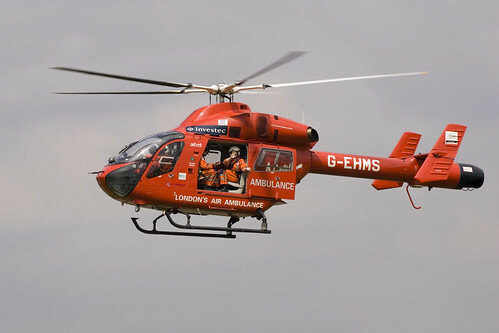 Well London’s Air Ambulance service has now launched a scheme. I got this story from Brand Republic. London’s Air Ambulance has introduced a text-to-donate scheme to increase donations. The text-to-donate service, hosted by Oxygen8 Communications, operates on a short-code platform. To make a donation, supporters send an SMS to the code LA81. This generates a one off donation taken from the cost of the text message. Andrew Cameron, chief executive of London’s Air Ambulance said: “Although we are partly funded by the NHS and Virgin, the majority of our costs are covered through public donations, charity fundraising events and collection schemes. We hope that the new text-to-donate service will provide another method in which people can easily and quickly donate a small but important amount of money to London’s Air Ambulance”. Messages are charged at £1.50 per text, of which 90p goes to the London’s Air Ambulance, with the remainder going to the mobile network the message was sent from. Also, perhaps we should get in touch with the operators to ask them why they are taking 60p from each text for this service. I accept there might be some costs, but when most operators are giving away bundles of hundreds of texts per month the costs for this can’t be that high can they? This entry was posted on December 20, 2008 at 8:48 am	and is filed under Charity. Tagged: Air Ambulance, Brand Republic, Charity. You can follow any responses to this entry through the RSS 2.0 feed. You can leave a response, or trackback from your own site.